The annual Parade of Lights in Stanardsville is set for Saturday, December 2nd, beginning at 5:30 p.m. on Main Street. 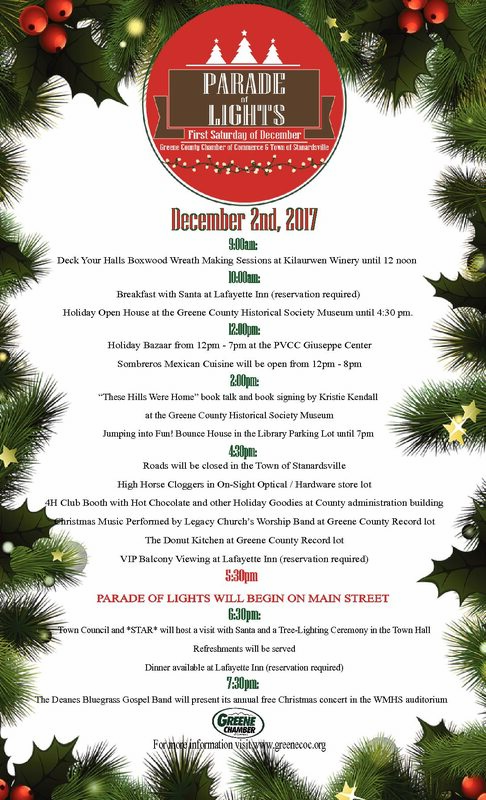 A full day of festivities are scheduled for this traditional family-friendly event, beginning at 10:00 a.m. with a Holiday Open House at the Greene County Historical Society Museum. At 2:00 p.m. at the Museum, author Kristie Kendall will talk about “These Hills Were Home”, her book describing the lives of families who lived in the Blue Ridge Mountains prior to their displacement for Shenandoah National Park. The High-Horse Cloggers will perform in the Hardware store parking lot at 4:30 p.m., while Legacy Church’s Worship Band will perform Christmas music at the Greene County Record parking lot. After the Parade, the Town of Stanardsville and *STAR* will host a visit with Santa Claus and a tree-lighting ceremony at the Town Hall. The Deane Family Bluegrass Gospel band will present its annual free concert in the WMHS auditorium beginning at 7:30 p.m. A complete list of scheduled activities is on the accompanying flyer. 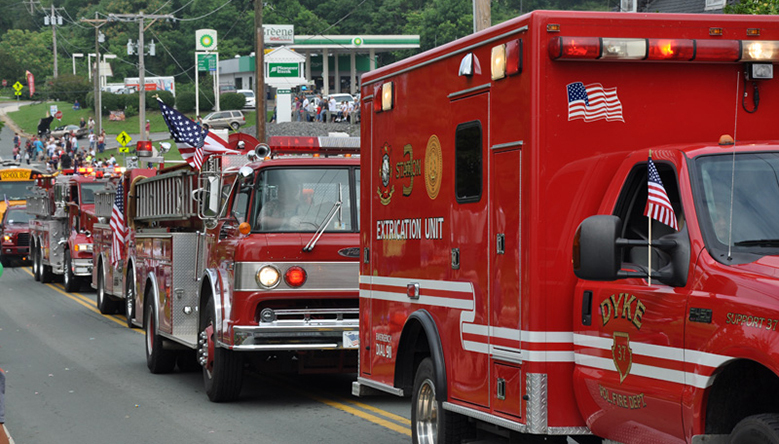 This annual event is co-sponsored by the Greene County Chamber of Commerce and the Town of Stanardsville.